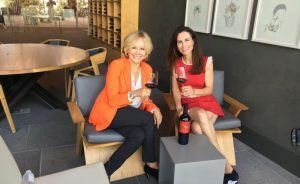 Go behind the bottle with Napa Valley’s Queen of Cab, Kathryn Hall of HALL wines. Watch and discover how being the United States Ambassador to Austria changed her palate (but not her politics). How being a farmer's daughter, drew her into the wine biz, and eventually led her to discover the Sacrashe Vineyard.